Windows can have a significant impact on the appearance of a property, both internally and externally. If you have wooden windows, then it is essential to keep them maintained and in good condition. This will not only help increase their durability and make them more weatherproof, but will also help to improve the look of your home. Here is our guide on how to paint wooden window frames effectively. Your wooden windows are guaranteed to last a lot longer if you take the time to regularly and efficiently paint or varnish them. This protective layer shields them from exposure to harsh weather conditions and side effects such as rotting, warping or cracking. It is advised to repaint your windows every couple of years to effectively maintain and preserve their condition. Follow our step by step guide to repainting your wooden window frames successfully. You need to make sure the frames are free of debris, dirt, dust and existing paint before you can apply a new layer. Take a soft brush and thoroughly eradicate any visible detritus. You can then take an old toothbrush to use on the corners and indentations of the frames. You will also need to check for holes and splits in the woodwork. If you notice the appearance of gaps or splits, make sure to clean them out meticulously with the brush and then use a wood filler to fill the holes. You will then need to use a sander to remove all of the existing paint and strip it back to bare timber. This is to create a smooth surface for the new paint to stick to. Either using a sanding block or mechanical sander, strenuously sand down the entire window frame and remove all evidence of existing paintwork. Make sure to always sand in the direction of the wood grain. You must also make sure to avoid scratching the glass when doing so as these marks will be permanent. Once you have sanded the frame back to bare timber, you will need to apply the primer. This is important to ensure an even coverage, and the paint will grip effectively to the surface. Depending on the type of timber your window frames are made from, you may have to choose a specific primer. If your windows are made from hardwood, then it is likely they will contain an excessive amount of oil. This will make it much harder to apply the first coat of paint, so make sure to find a good quality primer to use. You can purchase primers in a variety of colours but make sure to choose based on the colour of the top coat. 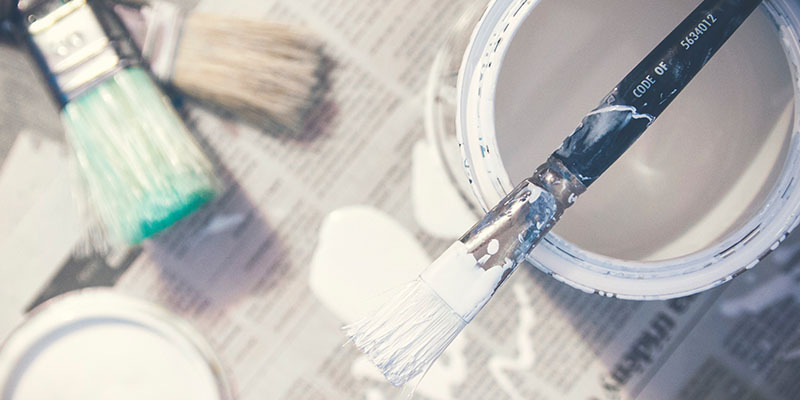 If you are painting the frames a light colour, then be sure to use a white undercoat. If the windows are going to be painted in a darker shade, then opt for a grey-based primer. Once the primer has dried, you can then use a dry brush to remove any excess dust. As soon as the primer has dried, you can apply the first layer of paint. It is a good idea to apply masking tape to the edges of the windows to prevent paint from getting onto the glass. This trick will also allow you to get a sharp edge on the paintwork. We also suggest decanting some of the paint into a smaller, handier tub rather than taking it from the larger, present paint pot each time. Before you start, we also advise unscrewing the window catches, handles and hinges to also prevent these elements from getting splattered with paint. Once you have completed all of that, you can start painting. Open the windows as wide as they can go to enable you to paint the recesses before starting on the frame itself easily. Start with the horizontal parts of the window, starting from the top and working your way down. You will then be able to go onto paint the vertical aspects. Avoid working sporadically as it will be hard to marry the paintwork. To prevent the paint from running, be careful not to overload the paintbrush. It is advised to apply two thin layers of paint rather than one especially thick coat. You can always administer another layer, but you can’t take one away. To further prevent the colour from running or uneven paint thickness, carefully smooth out the overlaps between the brush strokes. Once the first coat as sufficiently dried, you can apply a second coat if necessary. The lifespan of the paint you have applied will partly depend on its quality and the stress it is exposed to. Choosing top quality paint will significantly reduce the time it takes for your window to deteriorate. Opting for an oil-based enamel is an ideal option for timber window frames, providing a durable finish and preventing the windows from sticking. However, oil-based paints tend to yellow over time and are prone to mildew. Water-based enamel paint, on the other hand, dries much quicker, is environmentally friendly and adheres more specifically to the surface of the frame. You also need to consider the paint brush you use. Smaller paintbrushes are ideal for achieving more precise brushstrokes and a neater finish. You need to make sure the brush is good quality, has a flat edge and is one that won’t drop bristles. If you have followed our guide meticulously then hopefully you have found it simple enough to successfully revamp your existing windows, providing them with a new lease of life. Nevertheless, if you think that your windows are beyond repair, or you are fed up of repainting your timber frames every other year, then why not look into installing new windows in Milton Keynes. You could also consider replacing your wooden windows with an alternative and easy to maintain material, such as aluminium or uPVC.  If you need further advice on replacement windows, then get in touch with our team today.